The Reverso 4 looks and performs almost identically to its predecessor the Reverso 3. 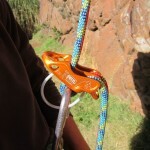 That is to say that it is an excellent belay device. 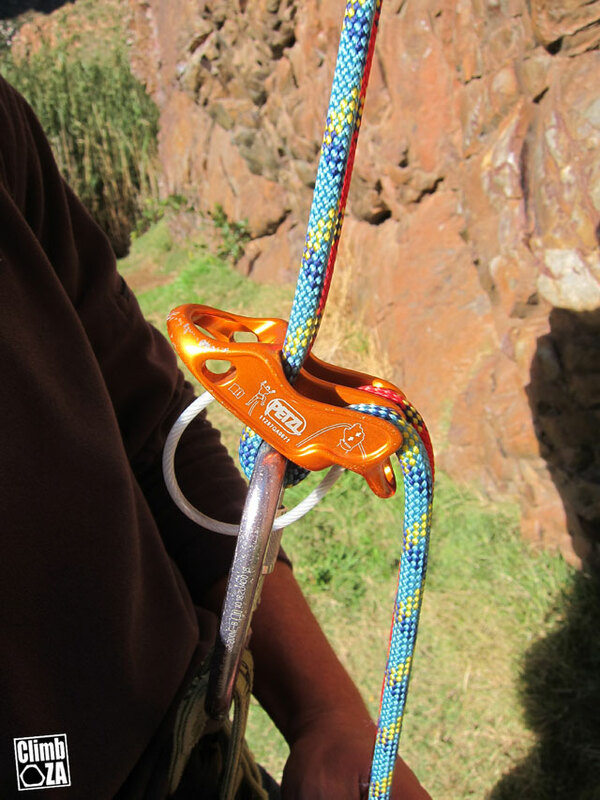 This device can be used for belaying a leader or up to 2 second climbers. 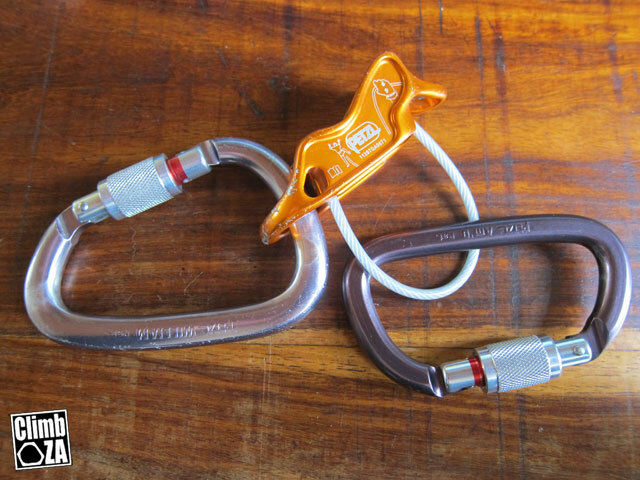 The ‘auto blocking’ or Reverso mode (as Petzl call it) allows automatic catching of the second(s) when belaying directly off the anchor from above. 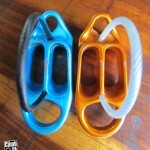 The main differences between the 3 and the 4 are the weight and the larger carabiner holes. 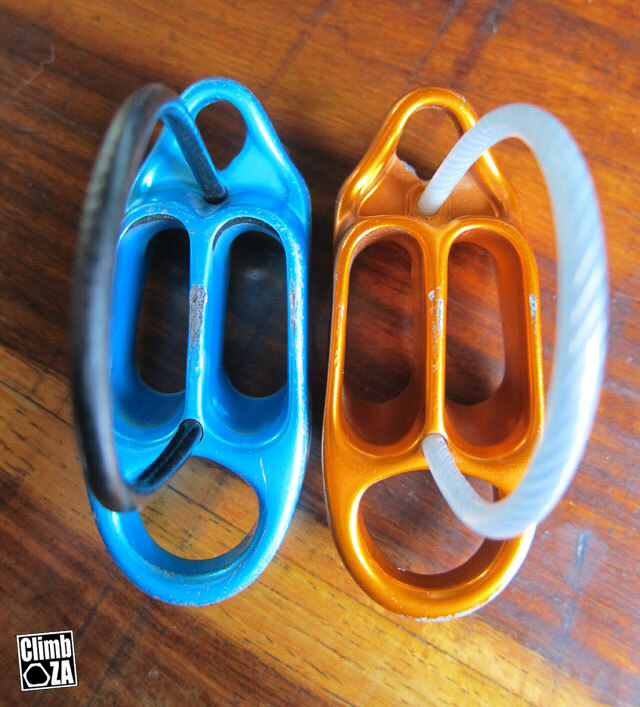 You can now put two (average size) locking biners through the top carabiner hole and the release hole now takes most carabiners (with the 3, you could only use smaller carabiners (such as the Petzl Spirit) to release the device after it was loaded and locked up. Releasing the second: This is an important technique that you should know how to perform. Catching falls on skinny ropes is easy as the device grabs the rope quickly and securely with minimal force going to the belayers hand. 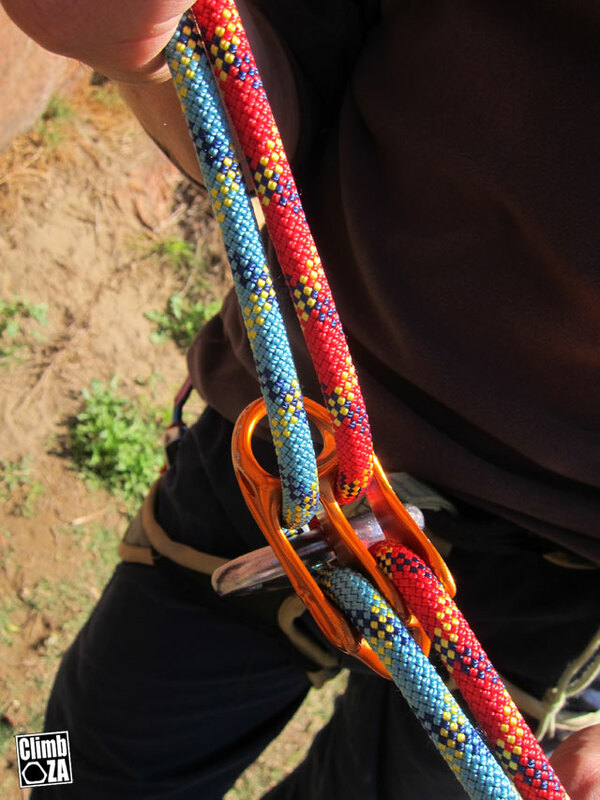 Belaying and abseiling is smooth so you won’t experience any jerkiness with the Reverso. 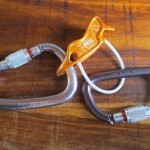 The Reverso 4 can be used with 10mm+ rope diameters although you may struggle feeding it through the device. Petzl recommend using the device with symmetrical locking carabiners (Am’D or WILLIAM) to maximize efficiency. 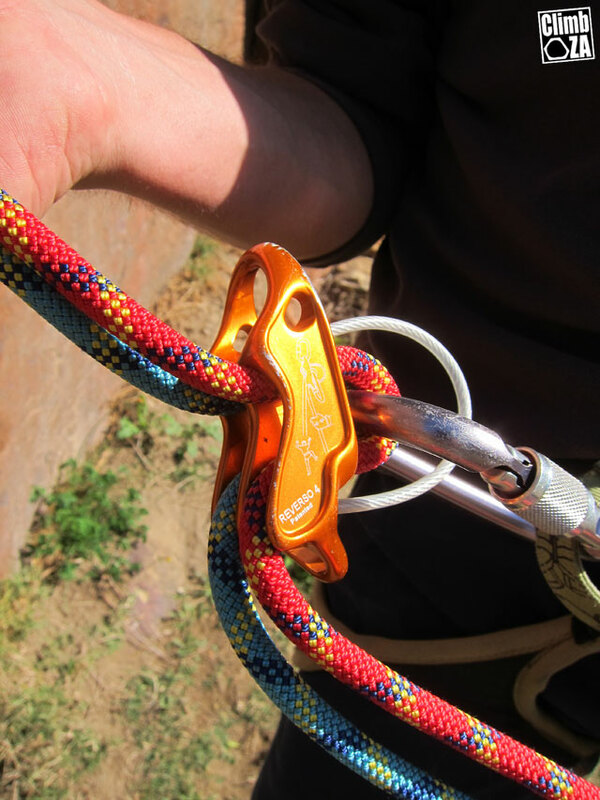 This multi-purpose belay/rappel device is ultra-light (59 g, 25 % lighter than the REVERSO 3) and intuitive to use. 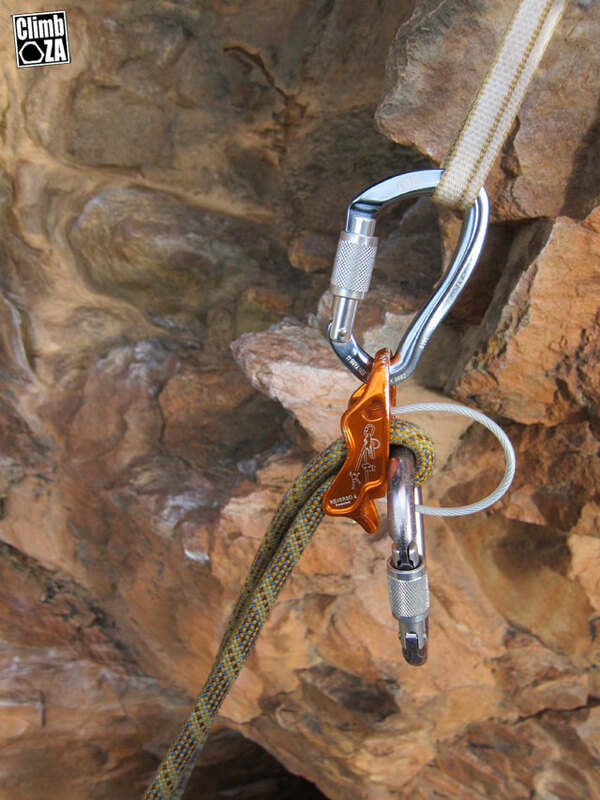 V-shaped friction channels with asymmetrical lateral grooves adapt the friction to the type of rope for better control (ARC technology: braking control for twin, half and single dynamic ropes). 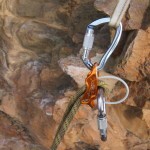 Reverso mode for belaying one or two seconds with assisted. Material: Hot forged aluminium body. 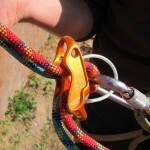 The Reverso in Auto Block or Reverso mode for belaying seconds. Nice review… But your captions are a bit off… Lots of Reverso 3s and no 4s? Tx Brian for pointing that out! I have corrected it. 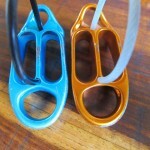 I bet they still have the problem where the climber’s side of the tubes become sharp from rope wear. I like the Reversos, but I’m sure they are purposely designed to wear fast, so you end up replacing them more often. Light alloys are softer than heavy ones. Presumably they have made the device lighter than other products on the market using lighter alloys, but have sacrificed longevity of materials in the process. As I see it there are three options in this market: Reverso, BD Guide and Singing Rock Shuttle (according to Mountain Mail Order anyway), and weigh 59g, 88g and 65g respectively. 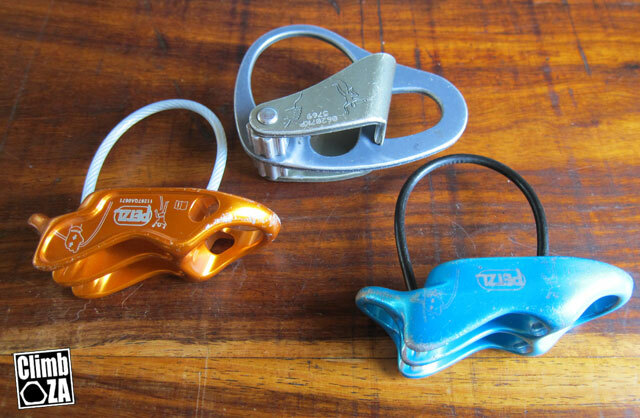 Coincidentally they also cost R349, R300 and R199 respectively, making the Shuttle arguably the best belay device on the market right now, but that is simply my opinion. To the best of my knowledge the materials of the Reverso 3 & 4 are the same (hot-forged aluminium). The weight saving on the 4 comes from metal being ‘shaved’ off the device. 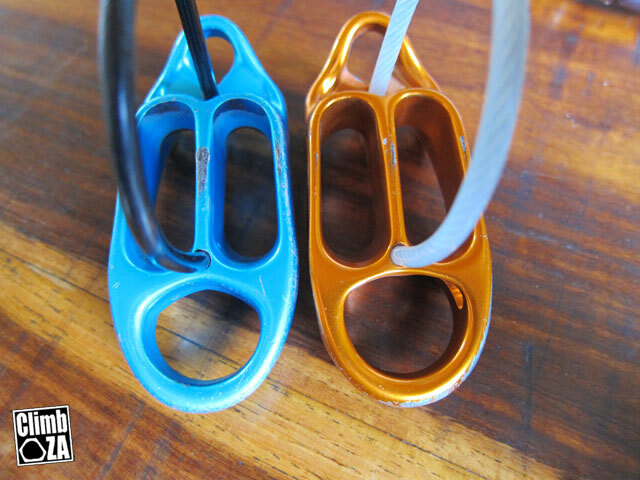 Yes, all the latest (lightweight) belay devices will wear quicker – think of this in terms of a high performance tyre – wears out quicker but gives you better performance. 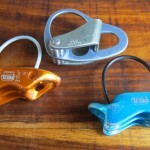 I am new to climbing and this site (my first post!). I have recently fallen in love with the sport, have joined the local climbing gym and busy building my gear collection and climbing away. 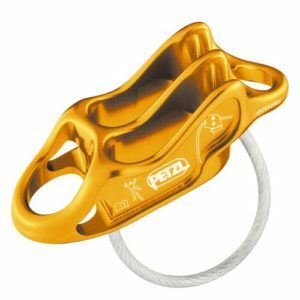 I chose to buy the Petzl Reverso 4 as my first belay device and am keen to know if any of you guys know more or less the lifespan of it? 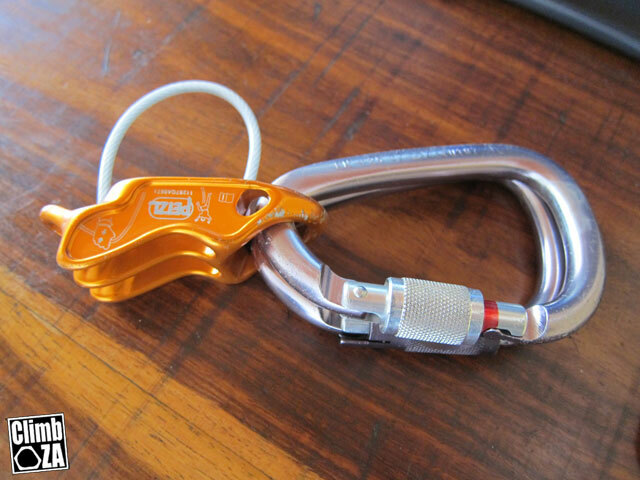 How would I know when it has reached it’s limit and more or less how long/amount of climbs would it withstand before replacement is due. Excuse my amateur question. I’m still learning and safety is an obvious concern for me. The lifespan really depends on how often you use your device. After a (extended) period of time a sharp edge will form on the device (don’t worry it’s not as bad as it sounds! 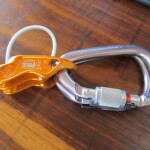 If you are unsure take the device into a climbing store to have it checked out – or post a picture of it on the forum here. Thanks so much for your helpful reply! Really appreciate it. 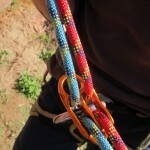 I used my Reverso for it’s first time this weekend on Lord of the Rings at Silvermine. It’s smooth and I’m SO happy with it. So stoked to be part of this great sport and look forward to many happy climbs with it!